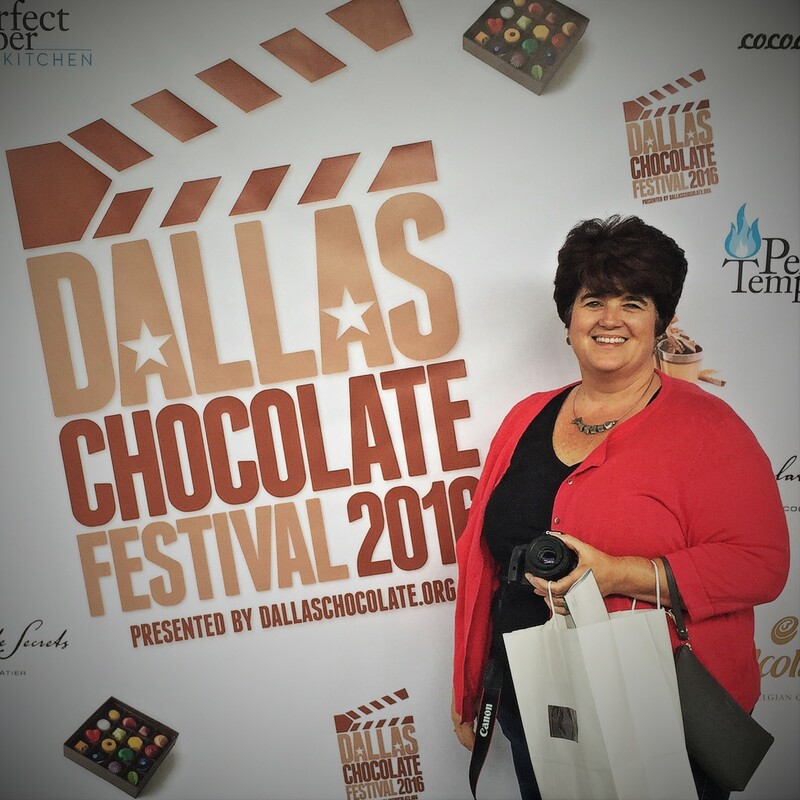 The Dallas Chocolate Festival was everything I thought it would be and more. This year marks the 7th year of the festival. They kicked off the festival on Friday night with a first-ever movie night. They screened the documentary Bean to Bar: A Film About Artisan Chocolate and it was an excellent way to segue into the festival. I considered myself having a better-than-average knowledge of chocolate, but this film proved I was a novice. Let’s just say I was schooled. The film takes you on a journey from the pollination of the cocoa flower to the completion of the final chocolate product. Artisan chocolate has a vernacular of its own. I was introduced to new terms such as conching and winnowing but discovered new associations for other terms. One example being fermentation. Did you know that cocoa beans go through a fermentation process? It is truly an amazing process. 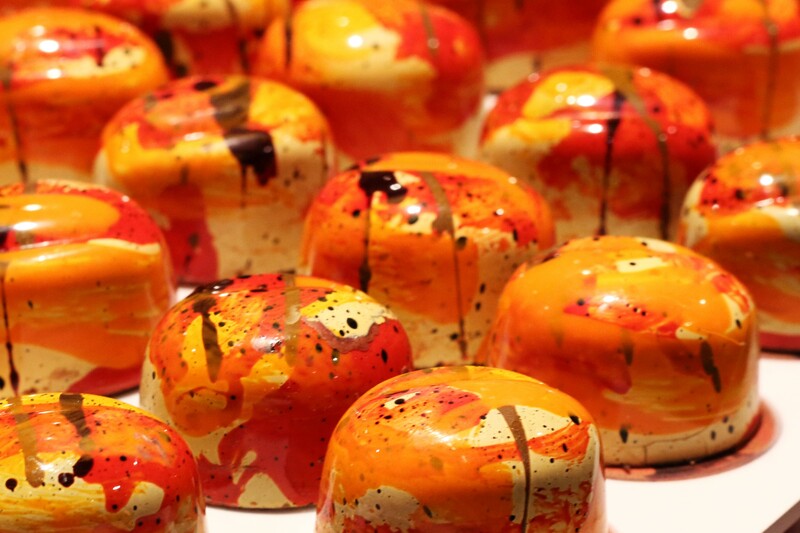 Chocolate artisans are passionate about what they do. They are chocolate pioneers in a sense forging into a new era of chocolate changing it for the better. They accomplish their goal through better quality chocolate and better quality relationships with the farmers. It was a treat to listen to the Q&A session with the film’s producer, Bob Ridgely, Art Pollard (Amano Chocolate) and Rob Anderson (Fresco Chocolate). Oh yes, I almost forgot. 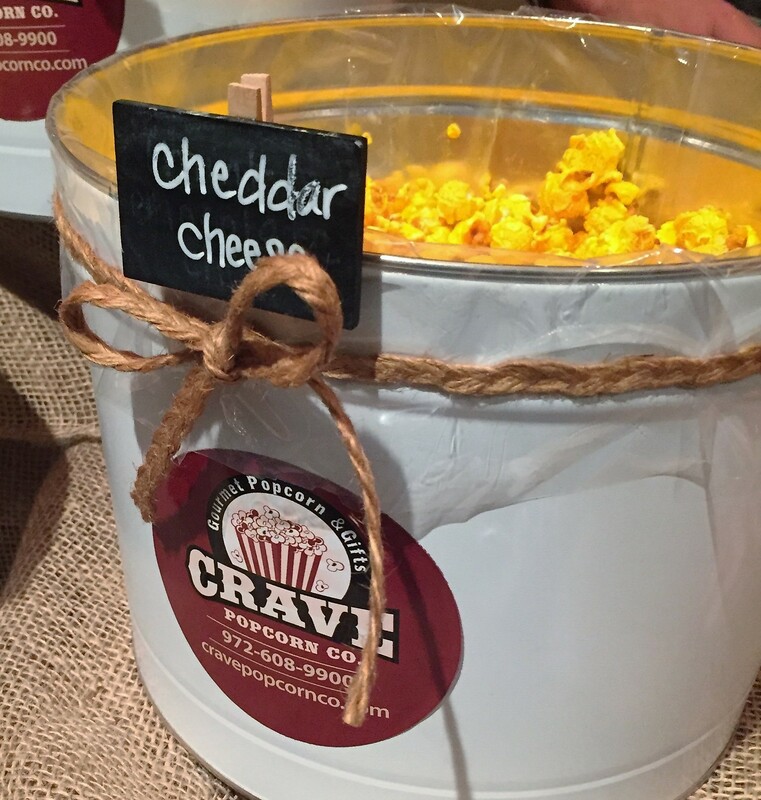 Did I mention all the sweet and savory treats we got to sample before and after the film? What a great night! Bright and early on Saturday morning I headed over to the DCF. I was handed a box for all my goodies, and I opened the door and entered heaven. 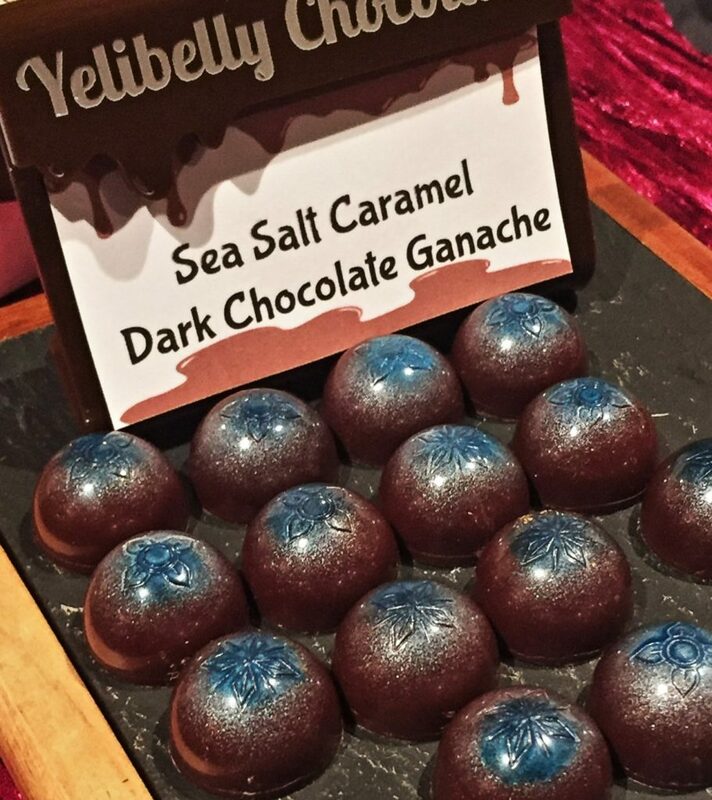 The room was bustling with over 40 chocolate makers, chocolatiers, candy makers, bakers, and chefs. I took a chocolate tour of the world. I tried it all! 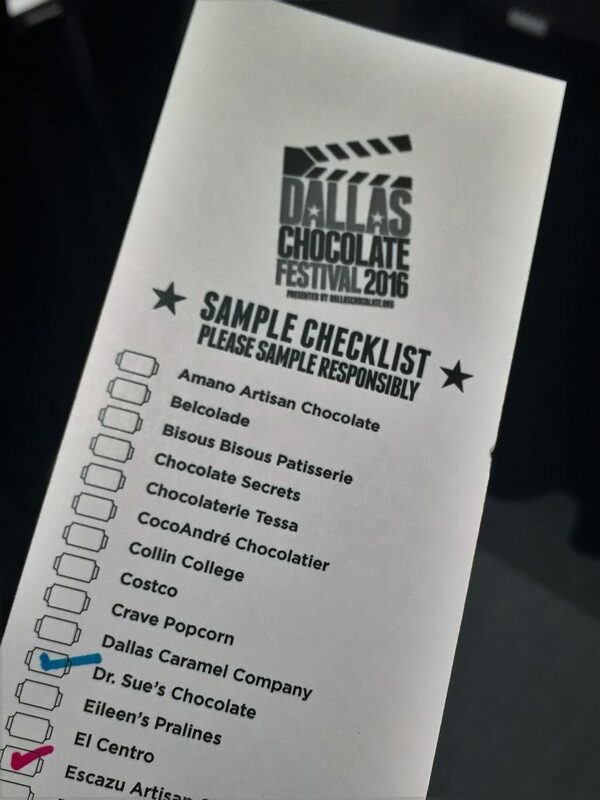 I was provided with a chocolate sample checklist. While I meandered about sampling, each vendor would check their name off my list. Very orderly! I love checking off a list…especially if it involves food! Tickets are sold with a scheduled entrance time. This was an ingenious idea. It allowed for staggered entry rather than a mad rush. I never felt rushed nor did I have to wait too long in any one place. I was able to visit with the different artisans and learn more about their particular specialties. While browsing, sampling and chinwagging the mistress of ceremonies, Madame Cocoa, was conducting interviews with the various vendors which were broadcast on a big screen. Nice touch. Freshly dipped sandwich cookies and pretzels from Whole Foods. Kate Weiser Chocolate’s sweet potato chocolates. 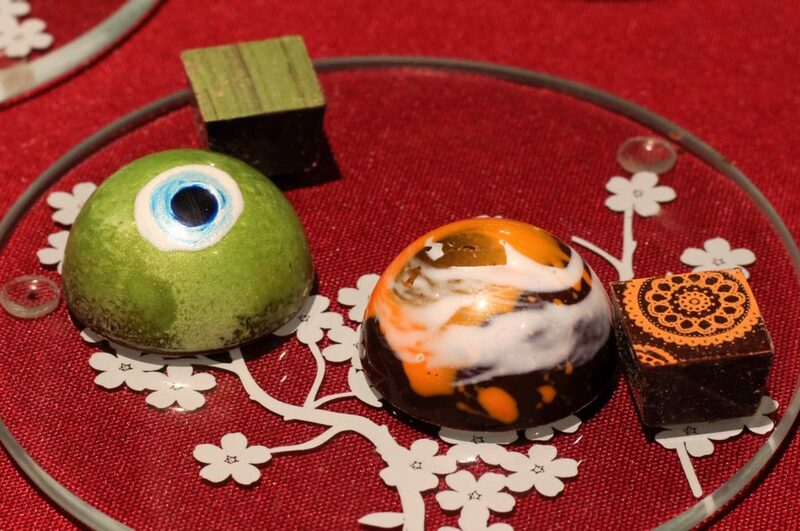 Matcha chocolates from Fera Wyn’s. 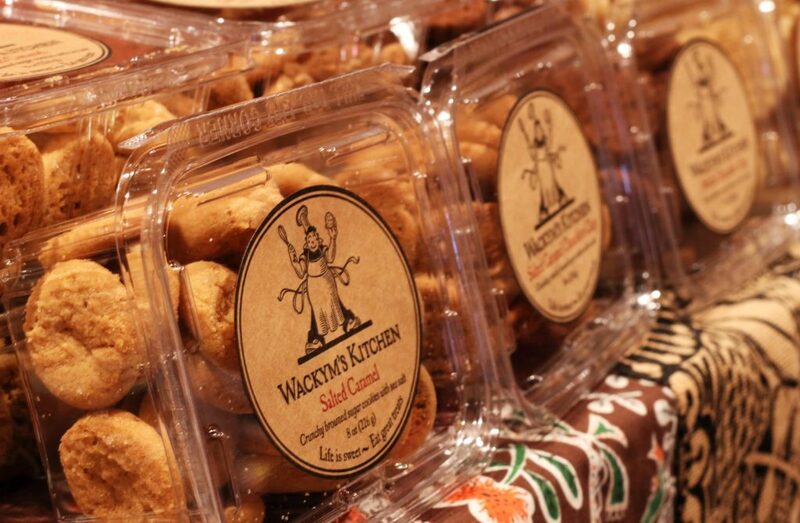 Wackym’s Kitchen was there with all of their wonderful flavors. 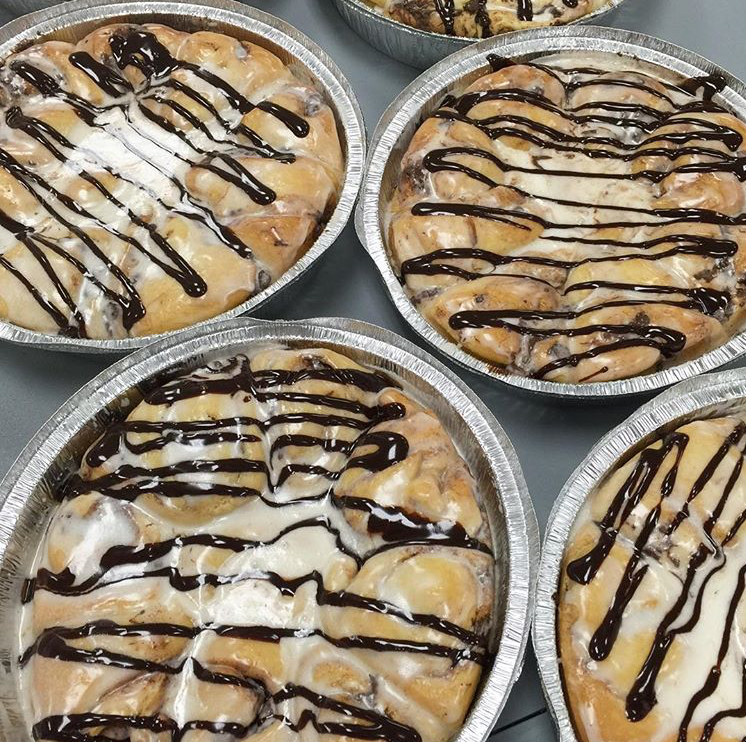 Chocolate chip cinnamon rolls from RoRo’s Baking Company. In addition to all the artisans, DCF held workshops on Saturday. I was able to attend two of them. 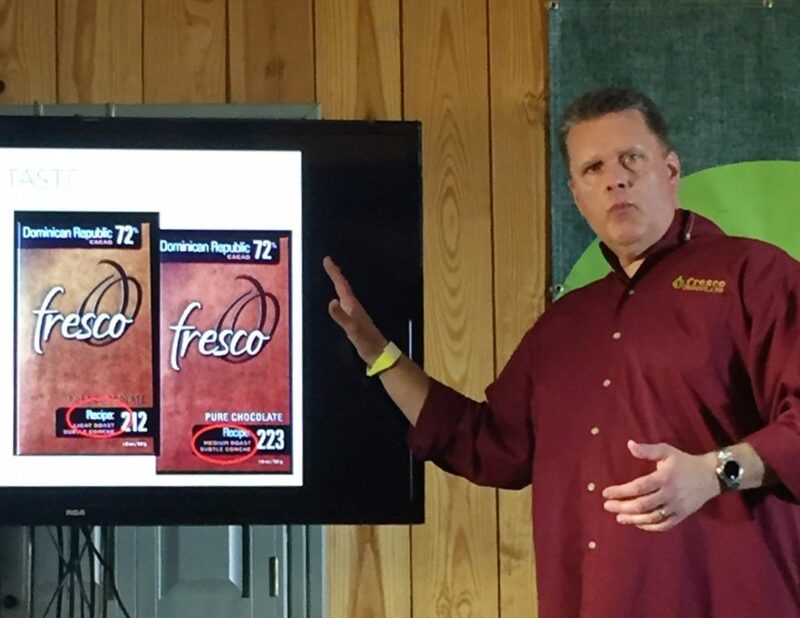 The first was Unlocking Chocolate’s Many Flavors with Roasting and Conching by Rob Anderson of Fresco Chocolate. Rob explained the differences in roasting and conching and how they affect the depth and flavor of chocolate. We were able to taste and compare chocolates with the same percentage of cacao but roasted or conched for different lengths of time. 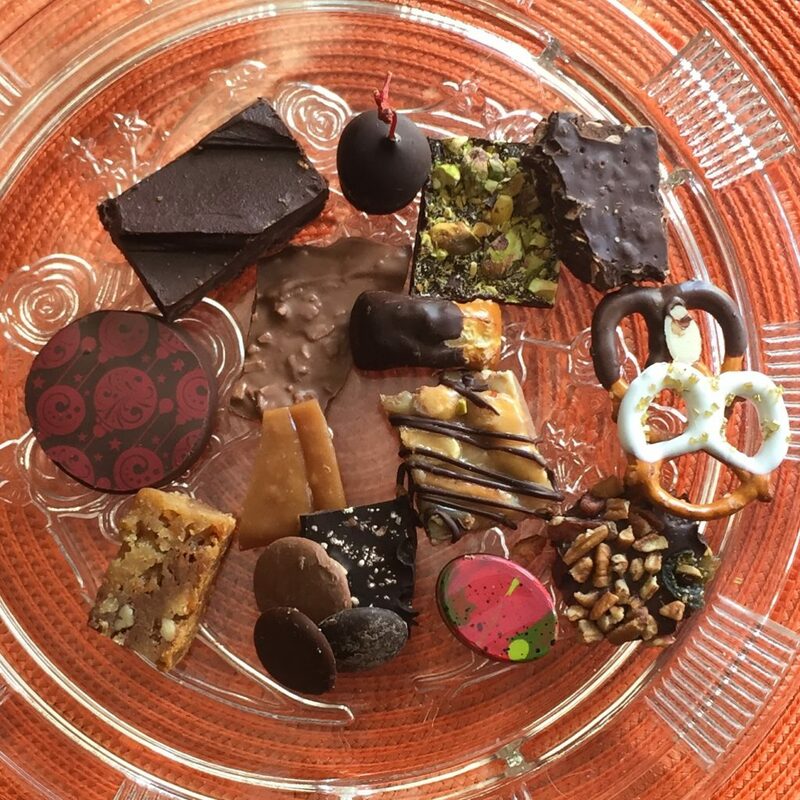 The second workshop was Chocolate Coming Attractions with Tessa Halstead (Chocolaterie Tessa), Art Pollard (Amano Chocolate), Ben Rasmussen (Potomac Chocolate), Carla Barboto (Pacari Chocolate) and Pam Eudaric-Amiri (Chocolate Secrets). I learned about the evolution of chocolate and how this craft has evolved and the why they are so passionate about buying from a particular grower with high standards to produce the best chocolate possible. I left with a box of yummy goodness. This is what made it home…the rest was eaten. Chocolate melts at a temperature of around 93 degrees. The universe designed it to melt in your mouth. Chocolate is an appetite suppressant. Dark chocolate reduces the risk of heart disease. Chocolate was originally consumed in liquid form, not solid. White chocolate is not white, and it is not chocolate. It is sweetened cocoa butter. Cocoa butter is what gives chocolate its creaminess. Most non-artisanal chocolate makers use wax. I love people who love food. I will NOT miss next year’s festival. 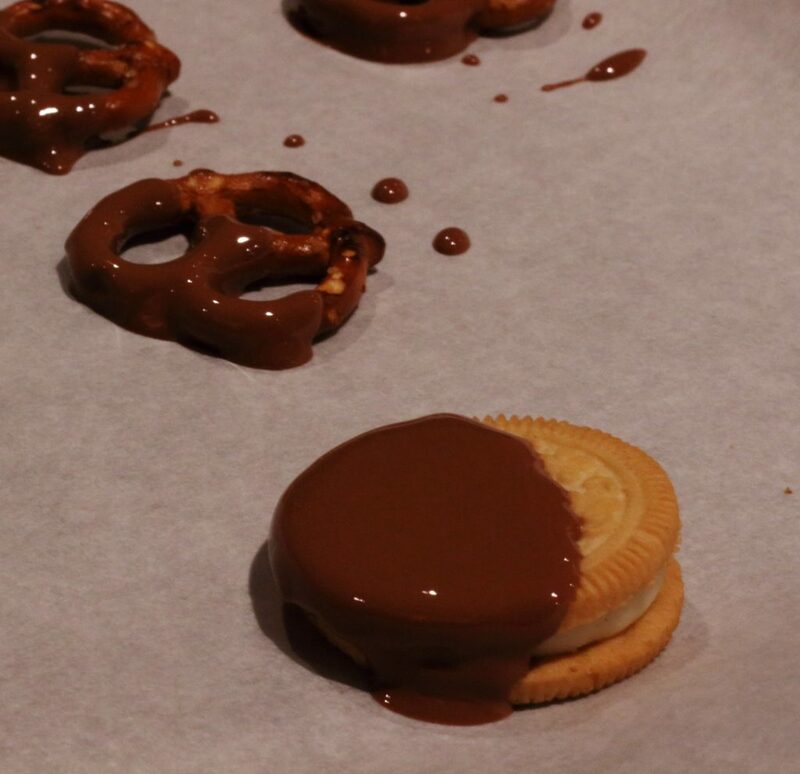 Head over to Dallas Chocolate and sign up for the chocolate updates, so you don’t either!